The 50-year-old motorcyclist died at the scene. 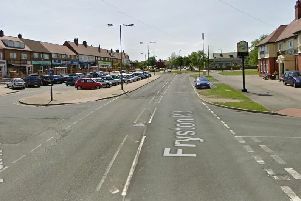 Steven Critchley suffered serious injuries and died at the scene of the crash on Doncaster Road at the junction with Elmsall Drive at around 3.50pm on Saturday, March 23. The 50-year-old, from Mexborough, was riding the Ducati motorcycle in the direction of Doncaster when he collided with the roundabout.